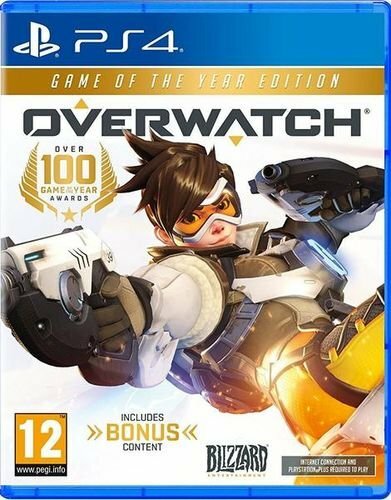 - 10 Bonus Overwatch Loot Boxes — Enjoy 10 bonus Loot Boxes, each containing random items that can be used to customize and personalize the appearance of your heroes. Loot Boxes may include skins, emotes, victory poses, voice lines, sprays, and highlight intros, as well as credits you can use to acquire many different customization options. - Overwatch Origins Skins — Pay homage to the original Overwatch strike force by wearing the vintage skins Blackwatch Reyes or Strike-Commander Morrison. Explore other heroes’ origins with Overgrown Bastion, Security Chief Pharah, and Slipstream Tracer! - Diablo III Mercy's Wings — Slay demonic forces throughout the High Heavens and Burning Hells as you don Mercy’s wings. All of Sanctuary will know of your allegiance to Overwatch! Welcome to Overwatch. Soldiers. Scientists. Adventurers. Oddities. In a time of global crisis, an international task force of heroes banded together to restore peace to a war-torn world: Overwatch. It ended the crisis and helped to maintain peace in the decades that followed, inspiring an era of exploration, innovation, and discovery. But after many years, Overwatch's influence waned, and it was eventually disbanded. Overwatch is gone... but the world still needs heroes. Team-Based Objectives: Teams of heroes do battle across the planet. From protecting the secrets of the mysterious Temple of Anubis, to safely escorting an EMP device through King's Row, the world is your battlefield.